This article is about domestic violence shelters. For other related topics, see Outline of domestic violence. Representative data samples done by the Centers for Disease Control and Prevention show that one in three women will experience physical violence during their lifetime. One in ten will experience sexual violence. Women's shelters help individuals escape these instances of domestic violence and intimate partner violence and act as a place for protection as they choose how to move forward. Additionally, many shelters offer a variety of other services to help women and their children including counseling and legal guidance. The ability to escape is valuable for women subjected to domestic violence or intimate partner violence. Additionally, such situations frequently involve an imbalance of power that limits the victim's financial options when they want to leave. Shelters help women gain tangible resources to help them and their families create a new life. Lastly, shelters are valuable to battered women because they can help them find a sense of empowerment. Women's shelters are available in more than forty-five countries. They are supported with government resources as well as non-profit funds. Additionally, many philanthropists also help and support these institutions. The very first women's shelter in Canada was started in 1965 by the Harbour Rescue Mission (now Mission Services) in Hamilton, Ontario. It was named Inasmuch House, with the name referencing a Bible verse (Matthew 25:40) quoting Jesus Christ as saying "Inasmuch as you have done it for the least of these, you have done it for me." It was designed to be a practical outworking of Christian values relating to justice and care. Although originally conceived as a shelter for women leaving prison, its clientele later became women escaping abuse by their partners. The concept of Inasmuch House was shared with other Christian inner-city missions across North America and led to the opening of other such shelters. The first shelters in Canada developed from a feminist perspective were started by Interval House, Toronto in April 1973, and the Ishtar Transition Housing Society in Langley, B.C.in June 1973. These homes were grass roots organizations that lived on short term grants at first, with staff often working sacrificially in order to keep the houses running to ensure women's safety. From there,the movement in Canada grew, with women's shelters opening under a variety of names - often as a Transition House or Interval House - opening up across the country in order to help women flee from abusive situations. The first women's shelter in the United States was likely established in St. Paul, Minnesota shortly after the first domestic violence hotline was established in the same location. However, other early locations include Rosie's Place in Boston, Massachusetts, which was opened in 1974 by Kip Tiernan, and the Atlanta Union Mission in Atlanta, opened by Elsie Huck. Women's shelters evolved over time. Grassroots community advocates in the 1970s offered shelters as one of the first services for victims of intimate partner violence. At this time, most shelters were for emergencies and involved stays less than six months. Volunteers and shelter workers offered legal and welfare referrals to women when they exited but contact afterwards was limited. More recent programs, such as those funded by the Violence Against Women Act, offer longer term stays for women. These locations, as well as transitional housing, offer more services to women and their children. Another recent change is the increasing amount of shelters publicizing their locations to increase funding and visibility in the community. Due to a larger women's movement, the number of shelters quickly increased after their induction and by 1977 the United States had eighty-nine shelters available for victims of violence. By 2000, the United States had over 2,000 domestic violence programs in place, many with domestic violence shelters included. For Asia, offering shelter to abused women is not a new concept. In feudal Japan, Buddhist temples known as Kakekomi Dera acted as locations where abused women could take shelter before filing for divorce. A formal system took more time, however, so it was not until 1993 that the grassroots women's movement of Japan built the first shelter. Today, there are thirty shelters throughout the country. A similar history did not lead to as much progress in China. Women's shelters did not exist until the nineties and since then the country only opened a small number. In Beijing there are no shelters for the twenty million residents. In England, Erin Pizzey opened the first widely known shelter for battered women, Chiswick Women's Aid in 1971. Since this time almost every European country has opened shelters to help domestic violence victims. Two countries even offer shelters for particular ethnicities and cultures. Additionally, a new development in Europe is that countries like the Netherlands and Austria opened social housing for long term stays. One reason for this growth is the Istanbul Convention against Violence Against Women and Domestic Violence, a convention signed by forty-seven Council of Europe member states in 2011. An article in the Convention sets the creation of women's shelters as a minimum standard for compliance. Following austerity two thirds of local authorities in England have cut funding for women's refuges since 2010. In Australia, the first women's refuge, known as Elsie Refuge, was opened in Glebe, New South Wales in 1974 by a group of women's liberation activists. Many others followed, with 11 established around the country by the middle of 1975 and many more to follow. Initially these services were entirely reliant on volunteer efforts and donations from the community, but they subsequently secured government funding under the Whitlam government. However, government policy has recently seen some moves to dismantle the women's refuge movement, so that in New South Wales since 2014 the management of many refuges has been handed over to large religious agencies so that they now often operate as generic homeless services rather than specifically catering to women and children escaping domestic violence. Women's shelters offer temporary refuge for women escaping acts of domestic violence or intimate partner violence. Many women become homeless in this situation because they are financially dependent on their abuser and these resources help to incentivize and support escape. The average length of stay for women is between thirty and sixty days in the United States. However, this varies in different countries and in Europe, for example, four countries limit stays to a few weeks. Transitional housing, another form of women's shelter, offers stays of up to a year while certain communities offer public and private housing for even longer periods. There is high demand for shelter services in the United States. A one-day national census done by the National Network to End Domestic Violence found that emergency shelters served over 66,581 people in one day and over 9,000 requests could not be met during the same period. In Europe there is a similar pattern of over-demand. Utilization by women is not consistent across the population of intimate partner violence victims, however. Women with children tend to use shelters more often as well as those that are injured physically. Additionally, rural women have more trouble accessing services due to isolation and a lack of resources. Shelters are usually offered as part of a comprehensive domestic violence program that can also include a crisis hotline, services for non-sheltered children, an education program, a community speaker list, and an offender treatment program. Shelters themselves also offer a variety of services. They provide counseling, support groups and skills workshops to help women move on independently. These act as tools of empowerment for women in conjunction with goal setting programs. Lastly, they offer support for children as well as legal and medical advocacy. Most residents of women's shelters are the children of women who are victims of violence. This is one reason why more than half of shelters offered services to this portion of the population in a survey of 215 shelters in the United States. Services for children often include counseling and group therapy options that are meant to strengthen parent-child relationships and help with mental well-being. Recently, shelters also responded to increasing numbers of male victims by offering help mostly in the form of hotel vouchers. In the United States, certain shelters do not permit access to men. This practice was challenged in Blumhorst v. Haven Hills, a court case in California (Los Angeles Superior Court Case No. BC291977). However, the court dismissed the case because the plaintiff lacked standing – he was not involved in an abusive relationship and did not need shelter. Certain groups are critical of the smaller amount of resources available to men in the United States and across the world. However, other sources dispute the view that male-only refuges are wanted or needed by most male victims, arguing that the issue has been misrepresented out of misogyny rather than genuine concern for male victims. The Istanbul Convention, for example, states that the creation of women's shelters is not discriminatory. Some shelters do permit access today, including the Domestic Abuse Project (DAP) of Delaware County which offers services to both sexes. According to their own reports, around three percent of DAP supported individuals have been men. In the United Kingdom, 100 places were opened to house male victims of domestic violence in Northamptonshire, or to house families barred from other shelters, such as women with older male children. In Canada, approximately 8 percent of women's shelters are also open to adult men. Volunteers in El Paso, Oct. 16, 2012, supporting a Walk a Mile in Her Shoes event to raise funds for the YWCA's Independence House. Women's shelters in the United States are supported at a state and national level. Over 50% of the funding offered at the state level, however, comes from the federal government through grants. Services are generally administered through Domestic Violence Intervention Programs (DVIPs) funded by the Family Violence Services Act, the Victims of Crime Act of 1984, and the Violence Against Women Act. Various non-profits also contribute to the services offered and provide a national voice for the issue. Examples include the National Network to End Domestic Violence which represents fifty-six U.S. states and territories, the National Organization for Victim Assistance, and local United Ways. Reports show that on any day over 5,000 women are unable to use services because of a lack of funding or space. Many states have also cut their funds for women's shelters. In 2009, Governor Schwarzenegger of California cut $16 million in state funding to domestic violence programs because of the state's budget deficit. In late 2011 Washington governor Christine Gregoire released a budget proposal stripping all state funding for domestic violence and women's shelters across Washington State. These types of budget cuts caused several shelters to close their doors, leaving women with no safe haven to escape Intimate partner violence. Local communities are now also taking it upon themselves to create a safe place for domestic violence refugees. In Grand Forks, British Columbia, a small community of less than 3,600, people organized the Boundary Women's Coalition, to support their local women's shelter. 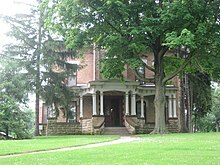 Many grants help fund women's shelters in the United States. STOP Violence Against Women Formula Grant Program Office on Violence Against Women Available to states and territories Thirty percent of funds provided are to improve on services available to victims of intimate partner violence. State and Territorial Sexual Assault and Domestic Violence Coalitions Program Office on Violence Against Women Available for domestic violence coalitions Funds provided to each state's domestic violence coalition to improve the coordination of services available in each state. These coalitions give funds directly to shelters. Grants to Tribal Domestic Violence and Sexual Assault Coalitions Program Office on Violence Against Women Available to tribal domestic violence coalitions. Funds provided to support tribal domestic violence coalitions that offer services to under-served populations. Family Violence Prevention and Services Discretionary Grants: National and Special Issue Resource Centers Administration for Children and Families Nonprofits with or without 501(c)(3) status; Native American tribal organizations Funds provided to start individual National Resource Centers on Domestic Violence. OVC FY 16 Vision 21: Enhancing Access and Attitudinal Changes in Domestic Violence Shelters for Individuals with Disabilities Office for Victims of Crime State and regional domestic violence coalitions Funds provided to help shelters make facilities accessible to those with disabilities. Women often suffer lasting mental conditions from their abuse including anxiety disorders, depression, and posttraumatic stress disorders (PTSD). Since women in shelters have more likely experienced severe physical and mental abuse than those who do not utilize these services, they are also more likely to experience PTSD. In fact, a national organizational survey compiled four separate studies of female support group or shelter users and reported PTSD rates between 45% and 84% (Astin, Lawrence, Pincus, & Foy, 1990; Houskamp & Foy,1991; Roberts, 1996a; Saunders, 1994). These emotional and mental consequences have an effect on women's career opportunities and ability to function in normal life. Women's shelters try to counteract these effects as well as prevent future instances of abuse. However, PTSD can prohibit women from utilizing shelter resources effectively. Shelter utilization may lead to the better functioning of survivors and fewer reports of abuse in the short term. Research that studied 3,410 residents of 215 domestic violence across the United States linked longer shelter stays with increased well-being and better help-seeking behaviors. The latter is a result of increased knowledge about services and options available to women in vulnerable positions as well as increased empowerment. This may indicate that transition services and longer residential offerings are more valuable. Many women report re-abuse after leaving a shelter. A sample study done by Bybee and Sullivan, which analyzed data from 124 victims who utilized shelters, found no positive effect on re-abuse three years after shelter use. Additionally, with current resource restraints in the United States, standard shelters do not provide the PTSD or psychotherapeutic treatments necessary for full support. They also have issues with under-serving the community because of a shortage of funded staff, a lack of bilingual staff, and inadequate facilities. Shelters in Europe are similarly limited and only eight countries fulfill the minimum standards for shelters set by the Istanbul Convention. Another criticism of the shelters in Europe is that they have strict age limits that keep male children out and certain shelters discriminate against women from other countries or who identify as lesbian or transgender. ^ "women's refuge Definition in the Cambridge English Dictionary". dictionary.cambridge.org. Retrieved 2016-05-12. ^ a b Breiding MJ, Chen J, Black MC. Intimate Partner Violence in the United States – 2010. Atlanta, GA: National Center for Injury Prevention and Control, Centers for Disease Control and Prevention; 2014. ^ a b c d e McNulty, M., Crowe, T., Kroening, C., VanLeit, B., & Good, R. (2009). Time use of women with children living in an emergency homeless shelter for survivors of domestic violence. OTJR: Occupation, Participation & Health, 29(4), 183 8p. ^ "Global Data Count" (PDF). The Global Network of Women's Shelters. Retrieved 12 May 2016. ^ "History - Mission Services of Hamilton". Mission Services of Hamilton. Retrieved 2017-05-09. ^ "The Haven Of Rest Ministries - Inasmuch House (for Women And Children)". www.shelterlistings.org. Retrieved 2017-05-09. ^ "Interval House | Toronto Community Knowledge Centre". ckc.torontofoundation.ca. Retrieved 2017-05-09. ^ Detweiler, Elsie Moses Huck (December 2005). A Life of Faith: My Journey. iUniverse. p. 256. ISBN 978-0-595-37582-0. ^ a b c d e f g h Roberts, A. R., & Lewis, S. J. (2000). Giving them shelter: National organizational survey of shelters for battered women and their children. Journal of Community Psychology, 28(6), 669–681. ^ Cassegård, C. (2013). Youth Movements, Trauma and Alternative Space in Contemporary Japan. Leiden: Brill, 78. ^ Kaufman, Joan (2012-07-01). "The Global Women's Movement and Chinese Women's Rights". Journal of Contemporary China. 21 (76): 585–602. doi:10.1080/10670564.2012.666830. ISSN 1067-0564. ^ "Battered women in China could finally get a measure of legal protection". Washington Post. Retrieved 2016-05-18. ^ Tierney, Kathleen (February 1982). "The Battered Women Movement and the Creation of the Wife Beating Problem". Social Problems. 29 (3): 207–220. doi:10.1525/sp.1982.29.3.03a00010. JSTOR 800155. ^ a b c d e f g h i j k Logar, Rosa (1 January 2016). "WAVE Report 2015" (PDF). WAVE – Women against Violence Europe, Bacherplatz 10/6, A-1050 Vienna. Retrieved 17 May 2016. Action against violence against women and domestic violence. Retrieved 2016-05-19. ^ "Forty years of the Elsie Refuge for Women and Children | The Dictionary of Sydney". dictionaryofsydney.org. Retrieved 2017-07-18. ^ "Regional Women's Refuges Are Being Ripped Apart". New Matilda. 2015-03-23. Retrieved 2017-07-18. ^ Browne, Rachel (2014-06-21). "Women's refuges closing down after reform fails them". The Sydney Morning Herald. Retrieved 2017-07-18. ^ Molly Dragiewicz & Yvonne Lindgren, The Gendered Nature of Domestic Violence: Statistical Data for Lawyers Considering Equal Protection Analysis, 17 Am. U. J. Gender Soc. Pol'y & L. 229, 268 (2009). ^ House of Commons (20 May 2008) House of Commons Sixth Report House of Commons. Retrieved 4 February 2012. ^ "The Domestic Abuse Project of Delaware County". www.dapdc.org. Retrieved 2016-05-19. ^ "Help domestic abuse victims for 35 years". www.delcotimes.com. Retrieved 2016-05-12. ^ "First refuges for battered husbands offer support to male victims". Mail Online. 16 February 2009. Retrieved 13 September 2010. ^ Burczycka, Marta; Cotter, Cotter. "Shelters for abused women in Canada, 2010". Statistics Canada. Government of Canada. Retrieved 6 June 2015. ^ "Grant Programs | OVW | Department of Justice". www.justice.gov. Retrieved 2016-05-12. ^ "National Organization for Victim Assistance (NOVA) – Championing Dignity Compassion Victims Crime and CrisisNational Organization for Victim Assistance". www.trynova.org. Retrieved 2016-05-14. ^ McKinley, Jesse (25 September 2009). "Losing State Aid, California Women's Shelters Cut Back or Close". The New York Times. ^ Sully, Patricia (2011). "Taking It Seriously: Repairing Domestic Violence Sentencing in Washington State". Seattle University Law Review. 34: 963–992. ^ "Grant Programs | OVW | Department of Justice". www.justice.gov. Retrieved 2016-05-21. ^ McFarlane, J., Nava, A., Gilroy, H., Paulson, R., & Maddoux, J. (2012). Testing Two Global Models to Prevent Violence against Women and Children: Methods and Baseline Data Analysis of a Seven-Year Prospective Study. Issues In Mental Health Nursing, 33(12), 872 11p. ^ Bybee, D., Sullivan, C. (. (0001). Predicting re-victimization of battered women 3 years after exiting a shelter program (English). American Journal of Community Psychology, 36(1–2), 85–96.